The Training Industry Conference & Expo keynote presenters will challenge you to reach new heights and support your growth as a learning leader. 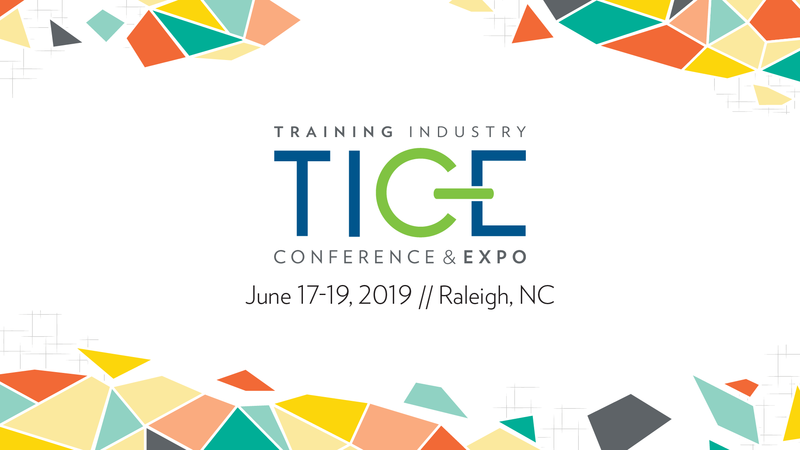 Don’t miss your chance to meet and engage with these keynotes, plus over 50 expert workshop presenters and hundreds of L&D thought leaders and colleagues at TICE 2019 – the learning event that is the right size and focus for the learning leader. Monday, June 17 | 1:30 p.m.
communications, business development, and employee engagement at moments of disruption, change or ambiguity. As a senior leader of IDEO since 1997, Whitney leads initiatives related to competitiveness, talent, diversity and inclusion, new business development, and technology. She sits on advisory boards for IDEO’s product businesses, online learning and open innovation platforms. She serves as a board director and development committee chair for IDEO’s sister company, IDEO.org, a non-profit that designs solutions that improve the lives of people in poor and vulnerable communities. Whitney works with thought leaders and authors to help them develop their points of view. She helps bold thinkers express big ideas and produces books, articles, networks and events to amplify them. Prior to IDEO, Whitney was senior vice president at Supercuts Inc. She helped launch the company’s initial public offering and led the marketing, strategy, research and new business functions. She met IDEO when she hired the company to develop a new haircutting technology and retail service for an innovative, affordable hair care salon. Prior to Supercuts, Whitney held positions in brand management and strategy with E&J Gallo Winery, Frito-Lay and American Express. She taught graduate courses in competitive strategy and led seminars in service management for senior managers. She earned a Master of Business Administration with high honors from Harvard Business School and a Bachelor of Arts in Russian civilization and French studies from Smith College. In 2014, she completed an On the Board fellowship with George Washington University and the International Women’s Forum, a program that cultivates senior executive women for public board positions. The San Francisco Business Journal awarded Whitney Most Influential Women in Business for three consecutive years, earning her the accolade Forever Influential in 2017. A passionate advocate and advisor to organizations engaged with environmental conservation, women’s justice and education, Whitney serves on the Advisory Council for the Golden Gate National Parks Conservancy’s Institute at the Golden Gate and supports conservation programs as a volunteer, guide and docent. Whitney is an avid birder, a lapsed pilot and a recovering wine snob. Tuesday, June 18 | 8:00 a.m.
Scott Hartley is a venture capitalist and best-selling author of “The Fuzzy and the Techie,” a Financial Times business book of the month for April 2017, Axiom Business Book Award winner and finalist for the Financial Times and McKinsey & Company’s Bracken Bower Prize for an author under 35. His book has been translated in half a dozen languages and is published in international markets, such as South Asia, with Penguin Random House. He is a global keynote speaker on ethics in technology, future of work and human skills in the technology age. 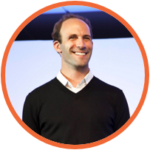 He has served as a Presidential Innovation Fellow at the White House, a partner at Mohr Davidow Ventures and a venture partner at Metamorphic Ventures. Prior to venture capital, Scott worked at Google, Facebook and Harvard’s Berkman Center for Internet & Society. He has been a contributing author at MIT Press and has written for publications such as Quartz, The Financial Times and Foreign Policy. Scott has also been featured in USA Today, Harvard Business Review and The Wall Street Journal. He holds three degrees from Stanford and Columbia and has completed six marathon and Ironman 70.3 triathlons. He is a term member at the Council on Foreign Relations and has visited over 70 countries. Some of his past speaking engagements include Google, Fidelity Labs, Swedbank, Purdue, Stanford, EDP, World Bank/IMF Annual Meeting, 50th anniversary university lecture at Century College, Global Entrepreneurship Summits in Malaysia and Kenya, and MIT events around the world. The general themes for his talks address the future of work, technology trends and the future of education. Wednesday, June 19 | 8:00 a.m.
Erica Javellana joined the human resources department at Zappos.com in 2007. Erica quickly distinguished herself in the company with her HR knowledge and ability to blend HR and the Zappos culture. As the employee relations manager, Erica helped create an unconventional HR team that is both unique and fun. She is currently sharing her knowledge of the Zappos culture and service in her role as speaker of the house for Zappos Insights. 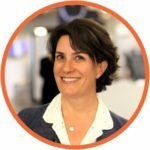 Prior to joining Zappos, Erica had over 10 years of experience in human resources in the retail, hospitality and service industries. 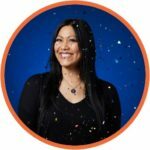 Erica’s years of experience in the Zappos family make her an insightful speaker. Her presentations primarily focus on employee engagement, commitment to culture, customer experience and their importance in business today. When she’s not sharing the impact of company culture in the workplace, you can find Erica reading on her Kindle, cheering on her Vegas Golden Knights hockey team or doing high-intensity cardio to compensate for her deep love of nachos and beer.